28 October 2017 – The last of the cages were removed on 28 October 2017. These were originally built to protect the trees from deer and rabbits. They gave the trees good protection when first installed, but they made it hard to weed and they were starting to constrain the growth. 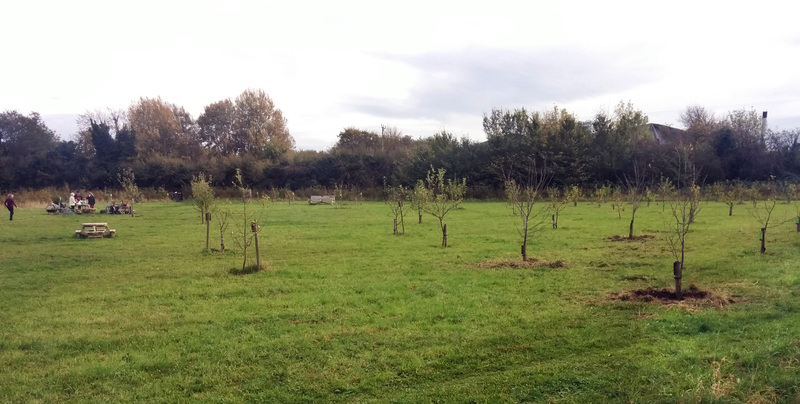 The orchard has a more natural look now.